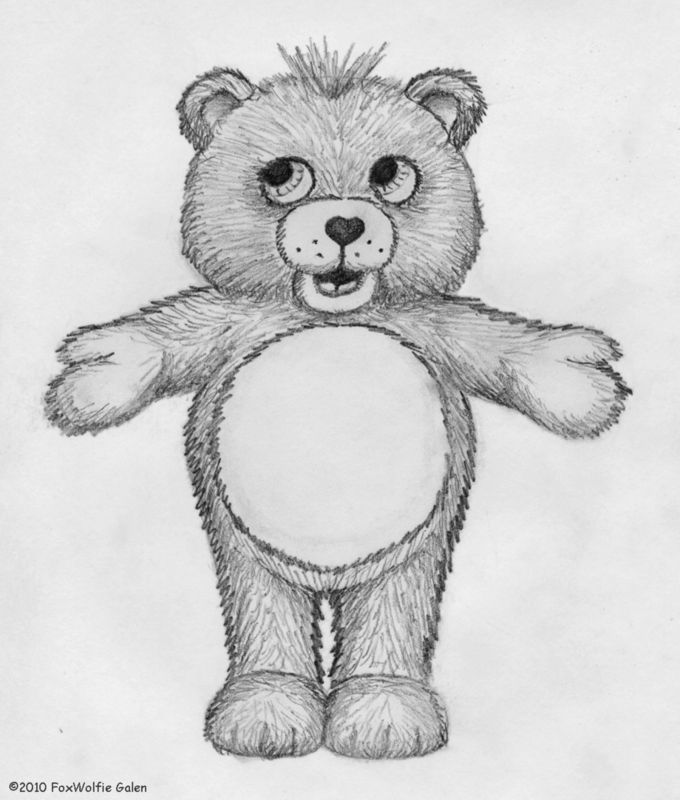 I have four of those singing, exercising Care Bear plushies standing just below where my TV is, so I started to draw one of them. It is no one bear in particular. I just called him Bareheart, because he's still a cub, and has not discovered his heart yet.